The Google Files Go app is now out of beta and available to everyone on the Playstore. I have just updated this post with the link to download the app. 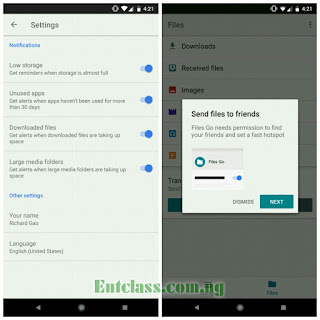 Google is already working on an app called Files Go. 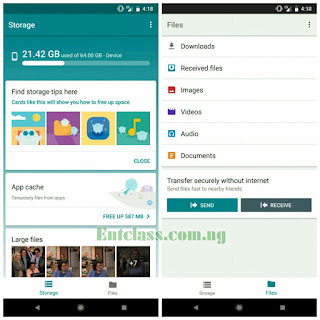 Judging from the name, Files Go is an Android file manager app that serves as a tool to keep your smartphone just like new. 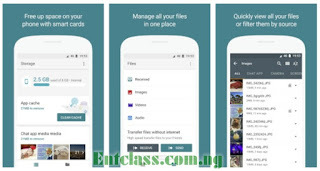 Files Go according to the description of the app, it helps you clean up space on your phone, find & manage files fast, and share files offline. 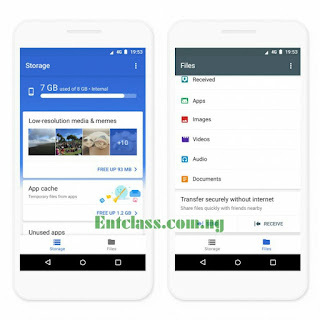 Moreso, most of the features there are just similar to Galaxy S8 inbuilt system cleaner. Few days back, the app was still showing "unavailable" on the Playstore, but now the Beta version has been published on Playstore and the APK is already available on ApkMirror for you to download and install pending the time the official version would be available on the Playstore. Files Go appears to be part of the Android Go initiative that Google announced at I/O this year. Android Go aims to make the OS run more smoothly on low-end hardware, and Files Go's small 10MB size certainly seems to reflect that. If this isn't preinstalled on Android Go devices, it'll probably end up in the Playstore category for apps beneficial for the platform. 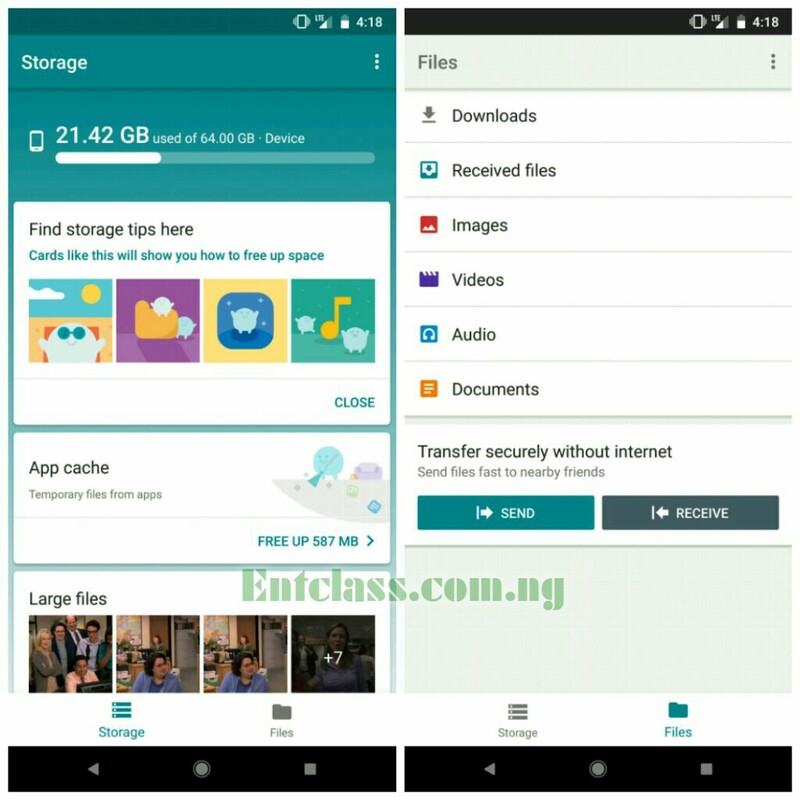 Files Go looks promising as it features lots of useful functions to keep the Android system running smoothly just like new. 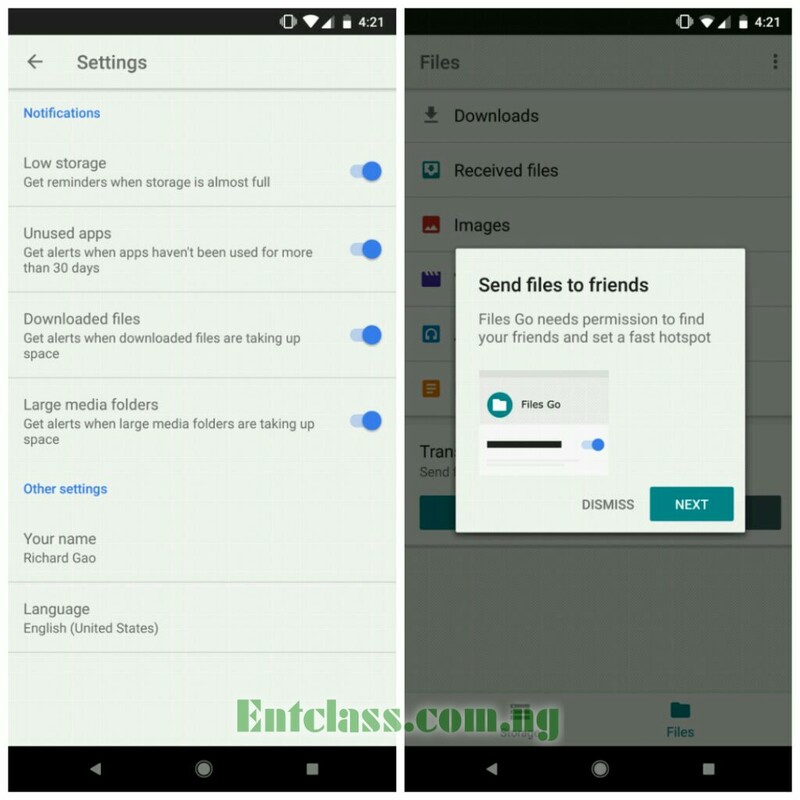 Some smartphones of today have been lacking a good file manager, and here comes Files Go. Files Go is live on the Playstore, though you'll get a notification that the early access program is full if you try to download it, or you might get a notification saying it's still in Beta testing and not stable. No worries, though; we've got the Files Go APK available on ApkMirror - Download Here. Google Files Go is out of Beta testing. It's now available for download on Playstore for everyone without any issues - Download Here. It has some very reasonable functionality but one just gat to be very weary of google and there keen interest in people's personal data. Great idea, thanks for the post. But do it with caution.. The functions sound interesting but I'll check it out with a dummy phone.